WHi Everyone! 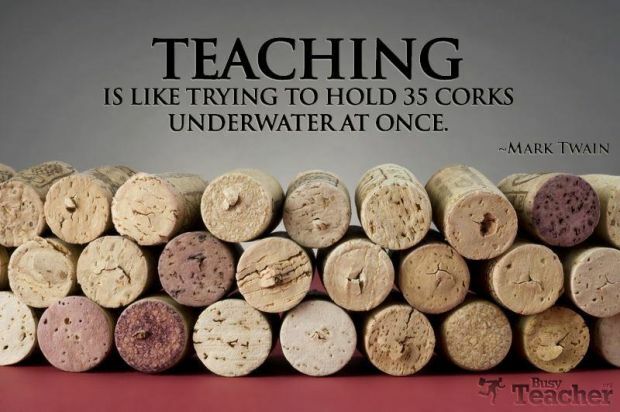 I know it has been awhile, but I have been so busy at school teaching, and in my Master's Course learning! I hope you have been liking the changes to my website. 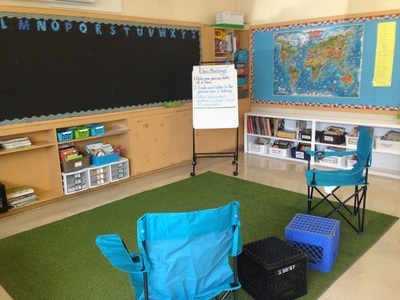 Please see the "21 Century Lessons" page to to the connect to collaborative, tech integrated lessons that connect to the NS Curriculum. It has been a hectic first term, getting used to my new school and getting to know my students, letting alone keeping to the curriculum! We have done so much this year, and yet it still feels like not enough! More posts to come! but...the kids say or do something everyday that makes me smile. Hi Teacher Friends! Another year has started and another adventure. I have been slowly updating my website over the past month with information and such. Pics of the classroom set up and organizational strategies soon to come. For now here is an updated link for my screen casts folder. Here are the posts from the last couple months from 2014-15 and my time in Grade 2. I made Show Me video for Unknown change subtraction. Hello! I have added more links to my Student Links page for Grade 2 Math. Please see all the ones marked with a asterisk* for Grade 2 appropriate games! I have also added 2 Digit Addition using the Front End Strategy WITH Regrouping. Mental Math Strategies are at the core of our curriculum. Here is a cheat sheet strategies you can use to calculate addtion and subtraction in your head! Mental Math Strategies Document in Dropbox. Math by the Month is a outlined calendar so you can refer to it, and talk with your child about what we are doing in Math class. Click here to access jpg file on dropbox. Go Noodle! We have been taking "brain breaks" in the middle of the afternoon to help us focus during math. These brain breaks help stimulate and/or calm us down. gonoodle.com lets you login, participate in awesome exercise videos and earn points for our class avatar! Caring School Community- We have been creating a caring classroom community with class meetings, and we are soon beginning Cross Age Buddies! This is a pilot program facilitated by the HRSB, Anti-Bullying Program. Click here to go to the website for Caring School Community to learn more. Our most recent class meeting and project was about what we can do to make a substitute feel welcome at our school and why this is important. We are on a theme of Peace this week! What does Peace feel like to you? Remembrance Day is next week and we are remembering and honouring those military personnel and veterans have brought peace to Canada and protect our freedom and the freedom of other around the world. Here are the highlights from the last couple months of school 2014-15 and my time in Grade 1. Welcome Tiny Chicks!! Our chicks have hatched in 1 C/G! We are so excited to be have our curriculum center around our guests! 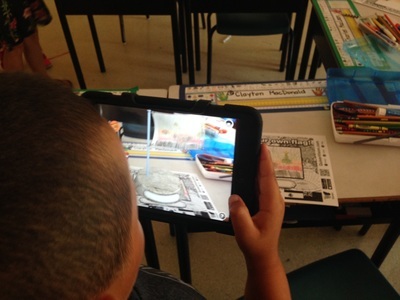 Grade One- Click here for "Our Snowy Days" Digital Book! For this project the students made their own collage papers in the art room using paint and many different painting materials like brushes, feathers, salt, sponges, sticks, rollers etc. They had a great time putting together their "small moment" collage and then use the image to inspired their writing. We had so many snowy days this winter we are now ready for SPRING! Maybe a spring digital book??? As we are shaping and influencing our post millennials we need to be treating them like the digital citizens that they are! 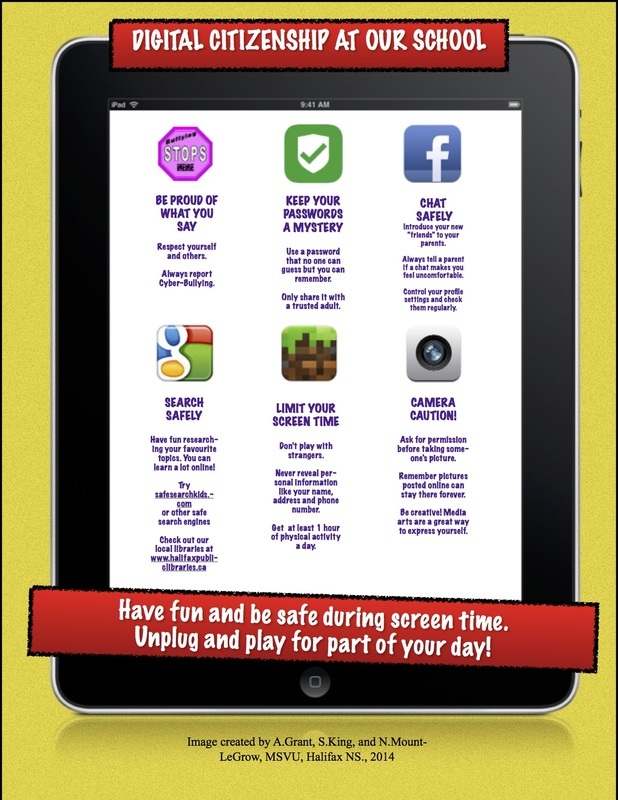 Promoting internet safety and positive online character traits can never start too young. I found this youtube video series that are short, informational and great for young students. Check it out! I have also tagged on an image my classmates and I made in our Master's course. I hope to print these in large size for my classroom next year! My Blog Posts From Old Website! Hi Teacher Friends! I have posted my first couple of flipped lessons on my Grade 2 Page. These are simple videos of me doing double digit addition with and without regrouping. These double as handy dandy videos for parents to use as an at home resource. I incorporated these videos into my lessons were as a reinforcement of a previous lesson. I paired them with pictures of the student's work from a problem solving activity the day before. The students enjoyed them, and they continuously replayed the video throughout their new group activity. The combination of my demonstration and the display of thier work was a real winner because they knew I was invested and would follow up on thier work. I enriched the lessons with giving different groups the responsibility to make a showme recording instead of pencil and paper. Happy tech-ing! Hey Teacher Friends! As I have been learning about 21 Century Education, and using the new NS Math Curriculum, I have made up Mathematician's Tool Boxes to facilitate problem solving and creativity into my math lessons. These kits have been around for while but this is my first year using usch a thing. I was hesitant at first because I like to have everything organized in a particular way on the math shelf BUT this way does give my students the freedom to use the tools they want to when problem solving and make connections between the tools to deepen thier understanding of number sense. Here is an example of a problem we had to solve the other day. This came from Math Makes Sense Adding and Subtracting to 100 Unit. We had already played the 100 Chart Game the day before so this question was a follow up to an activity. "Teagan was at 83 at the beginning of his 100 Chart Game, his next turn he was on 33. What number did he move to get there? At the end of the game he was at 3, how many more did he move?" So, knowing what the book was asking them to do, I assumed they would all run tot hier hundreds charts and dry erase markers and start marking out the map of the game. However, they used a mixture of base ten, hundred charts, ten frames and counters. It really was great for me to see who was using what, and in what way. After we had tried to figure out the problem in groups, we discussed possible answers and how each group got there. We also, talked about how they recorded thier possible answers in pictures, numbers and words. So, in 21 Century Ed taxonomy this lesson fit most levels, although we did share our group's results, they not formally published or presented. We have been discussing 21st century education pedagogy in my Master’s Class called “Teaching in the Connected Classroom.” We looked at the 21C Ed version of “Bloom’s Taxonomy.” We began discussing what it really mean to collaborate, communicate, be creative and think critically, as a teacher and to teach these characteristics to your students. For me, much of our discussion came back to students having the confidence in themselves and being comfortable enough in the classroom to be able to express their ideas and opinions without social repercussions. I feel this is especially important in elementary school when they are just beginning to form what kind of student ( and future citizen!) they are going to be. Social emotional wellbeing is essential to be able to participate in education that is group based, full of problem solving with many possible outcomes. Setting this kind of foundation will give them the tools to be a 21C citizen. If students feel loved, welcomed, and safe in the classroom, their academic work is sure to follow. I have been introduced to Caring School Community Program which attends to the social emotional needs of student through academic based activities. The program seems to very much follow 21C Ed. principles and is continuing to impress me and become more and more applicable to my everyday teaching. My school is in the pilot program for this, and we are integrating it into our school over the next 2-3 years. 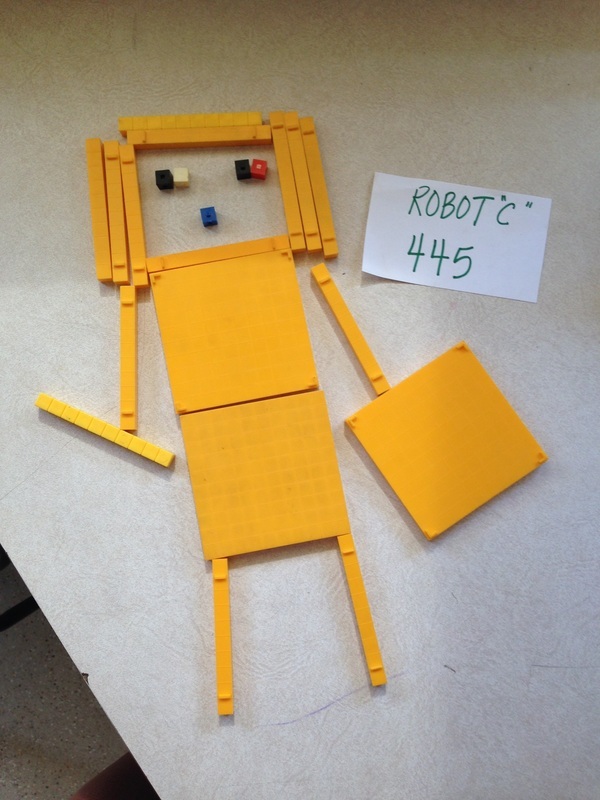 Click here to go to my Grade 1 page to read about our latest Buddies Activity. Are you making the connection between social emotional health and 21 century education pedagogy like me? Are there other programs out there that integrate them both? Anybody have a good website/ techniques to start doing blended/flip classroom for elementary? Hey Teacher Friends! I thought I might share a lesson with you that went very well! This lesson was taken from artprojectsforkids.com so I cannot take the credit for the original! We used pencil then traced our lines with pastel, then used small water color pallets to paint it in. I was really specific about where to paint and what colors to use. The students were amazed when I told them they could mix green with yellow and blue to make different colors of green! Make sure they use lots of water on their brush for easier application. We topped it off with gluing on the tiny dots leftover from the 3 hole punch. The pages dried pretty quickly and they were able to glue the dots on right away. A neat way to explore line, shape and mixed media. Looking forward to doing this lesson with the Gr. 2's next! Hi Teacher Friends! These are simple videos of me doing double digit addition with and without regrouping. These double as handy dandy videos for parents to use as an at home resource. I incorporated these videos into my lessons were as a reinforcement of a previous lesson. I paired them with pictures of the student's work from a problem solving activity the day before. The students enjoyed them, and they continuously replayed the video throughout their new group activity. The combination of my demonstration and the display of thier work was a real winner because they knew I was invested and would follow up on thier work.